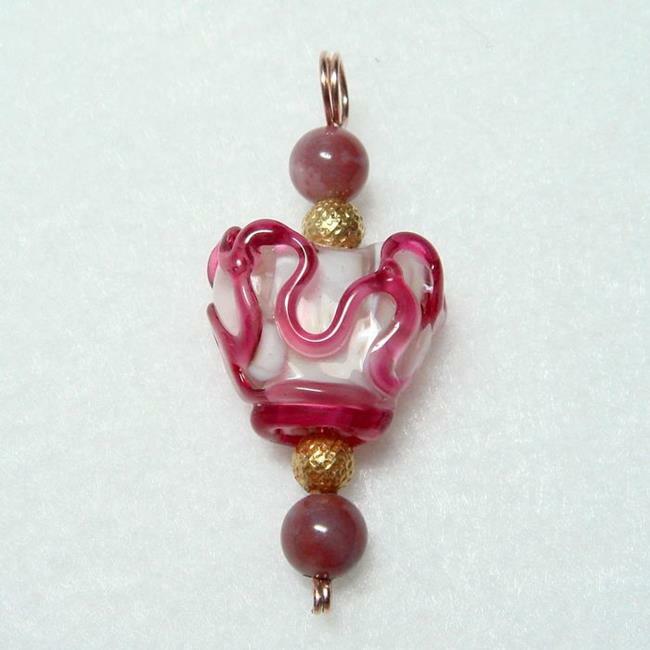 When I received the heart-shaped wedding cake lampwork bead from Melanie at GlassValley it was the day I found out that my cousin's cancer was out of remission. If you look at the bead you can see that there are crackles of clear through the white, as if it's broken, then mended together with the stringers of pink. I wear it to remind me that it doesn't do anyone any good to be sad or negative or give up, and that the power of positive thinking can work wonders when someone you love is fighting the good fight! XXOOXX to Tonia - DO NOT GO GENTLE!